Traders Loan and Jewelry is the oldest and best pawn shop in the valley since 1954. Our core business is loaning money on your collateral. We base the loan on your item, not you. We will also buy your item outright if you prefer. It’s your choice. Come in and let us make you an offer you can’t refuse. 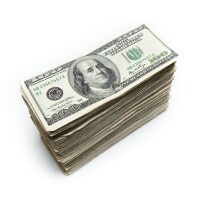 Get cash in minutes! 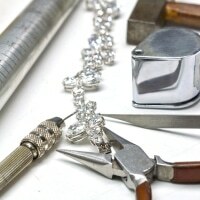 We are also a jewelry store specializing in new, pre-owned and custom made jewelry at a fraction of retail. When is the last time you’ve been into Traders Loan and Jewelry? Pawning an item is a great option for people who don’t have a bank account, are under-banked, have bad credit, don’t want to pay traditional bank loan fees or can’t get a traditional loan. A pawn loan is strictly based on your item and nothing else. Not you, not your credit score or bank account. To pawn your item, simply bring it in and we will appraise it for free and then we will make you an offer based on a percentage of the market value. If our offer is accepted, we will fill out the paperwork, take your thumbprint and take a copy of your government issued photo ID and you’re own your way with cash in minutes. Once you pay off your loan plus interest, you may pick up your item. This is a great way to get through a cash crunch without losing your valuables. It’s the best of both worlds and it’s also important to note that 95% of Traders Loan and Jewelry customers redeem their pawned items. Here’s some great items to pawn: Diamonds, gold, jewelry, high-grade watches, silver, antiques, cameras, electronics, tools, musical instruments. We will buy pretty much anything of value. If you’re unsure, bring it in for a free appraisal. All interest rates on loans are set by the state of California. You may sell us your item outright. We pay top dollar for your gold and other unwanted jewelry, tools, musical instrument, antiques, coins and more. The difference between selling your item and pawning your item is when you pawn your item, you get it back when you pay the loan back plus interest. Selling us your item means you get cash and we keep your item. Again, if you’re unsure if something has value, bring it in and we will give you a free appraisal. Please don’t mail your valuables to someone you don’t know. We will determine the value of your item(s) onsite and you can walk out with cash in minutes. We are also a jewelry store. We sell brand new jewelry, custom-made jewelry and sell pre-owned jewelry. In fact, we sell much of our jewelry to retail stores. Shop around before you buy. We have a large selection of high-grade watches, precious gems, wedding bands, engagement rings and other stunning jewelry at a fraction of retail. We also offer layaway! For more details on our layaway program, click the link below. We repair jewelry and watches from sizing rings to restoration of family heirlooms to crystal replacement, battery replacement, chain soldering, jewelry mounting and more. 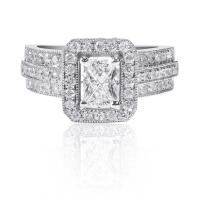 Our in-house jeweler is highly skilled to ensure the highest quality and care are given to your items. We also give free appraisals on our premises.